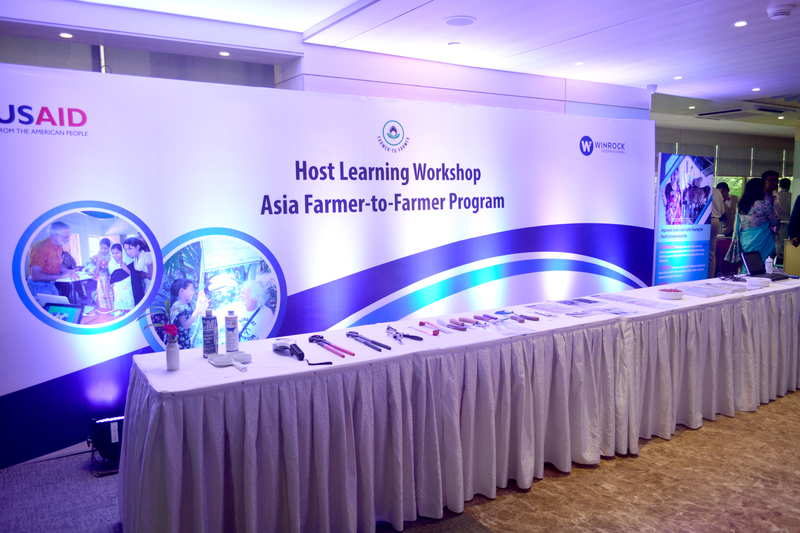 As Winrock bids farewell to the Asia Farmer-to-Farmer (F2F) program, we would like to share the learning and impacts of the program in Bangladesh. 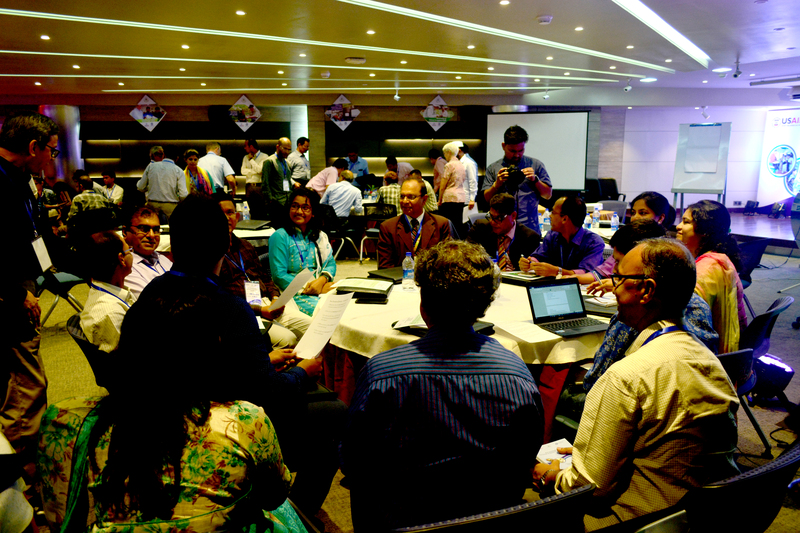 Dr. Janet Henderson summarized her experiences facilitating the Bangladesh F2F Host Learning Event in Dhaka in August 2018. The workshop was designed to summarize key hosts’ successes and innovations, as well as ongoing challenges, and discuss lessons for how to sustain and build on F2F impacts and initiatives; enable hosts to hear and learn from each other and to network; and identify recommendations and lessons to improve effectiveness of future F2F programs and other agricultural development efforts. Winrock has had the honor to implement Farmer-to-Farmer in Bangladesh for 22 years. 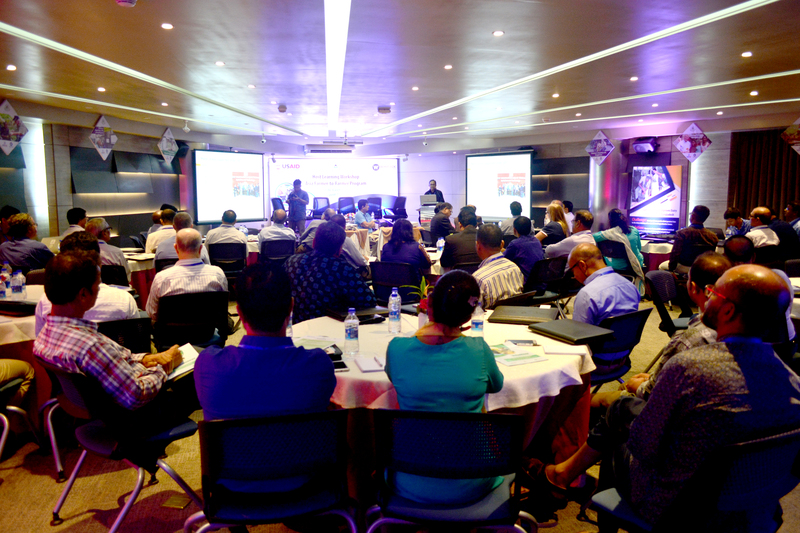 We wish to thank all of our staff in Bangladesh, our volunteer, and hosts and partners for their commitment to this program and to the development of the Bangladeshi agricultural sector. We started the feed company in 1995 and then I met Winrock. We were looking for buyers to start our project. Actually, I met with many U.S. organizations, but Winrock was the only organization that met my project goals in many aspects. F2F has helped our farming sector a lot and helped our economy. Had it not been F2F, my company would have never reached the heights that it has today. We have received assistance from three Winrock F2F volunteers beginning in 2015. The volunteers worked with tribal communities in three areas of Bangladesh on mushroom, banana, and pineapple production. We started with 40 farmers, now we are working with 400. The farmers’ incomes have been raised and are expanding every day. The use of organic fertilizers is an example of growing something without harming anything. The F2F volunteer professors from the U.S. have continued to contact us and provide assistance. The screening of Winrock F2F volunteers for the “right” person made the project successful. I have seen Winrock primarily focus on making the agribusiness sector more organized. Our collaboration with Winrock encourages cross-country experiences and volunteers in a country like Bangladesh also bring networking opportunities. I believe that the continuation of such services in our country will add value.